JAIA held a Chairman’s Press Meeting on January 30, 2018. Following is the key speech. Japan’s automobile market as a whole posted positive year-on-year growth, partly attributable to revival of Kei-Cars from the fuel efficiency scandals of 2016. Despite the negative impact of illegal completion inspections by unqualified personnel at a couple of the domestic manufacturers from October onwards, for the entire year, the Japan’s automobile market as a whole was up 5.3 percent from a year ago, posting the five million mark for the first time in two years since 2015. Looking back at the results of imported vehicle sales last year, thanks to vigorous efforts of JAIA members to introduce battery electric vehicles (BEV), plug-in hybrid electric vehicles (PHEV), clean diesel vehicles (CDV) and other next generation vehicles, as well as new models including SUV equipped with advanced safety features, connected technologies and the like, the imported vehicles had kept a high level of sales from the beginning of the year. When the Tokyo Motor Show (TMS) was held in autumn last year, overseas and domestic exhibitors revealed their latest models. TMS2017 was successfully closed with about 770,000 visitors from home and abroad in total. More than half of them were young people of ages between 15 and 39, and females accounted for one in four visitors. As a result, the imported vehicle sales for entire 2017 were 351,020 units, up 2.1 percent from the previous year, which is the fourth highest figure for the sector. Of these, sales of foreign-brand vehicles were up 3.7 percent from the year before to 306,088 units for the second consecutive year of positive growth. It is the second highest annual sales and a figure in excess of 300,000 units was last recorded 20 years ago in 1997. Looking at the breakdown in power-train of the foreign brand’s next generation passenger cars, which were one of the main reasons for significant growth of last year, while battery electric vehicles (BEV) and plug-in hybrid electric vehicles (PHEV) were up by 176.5 percent and 11.7 percent respectively from 2016, clean diesel vehicles (CDV) posted a significant increase of 31.4 percent, which accounts for an over 20 percent share in the total annual sales of foreign-brand vehicles. 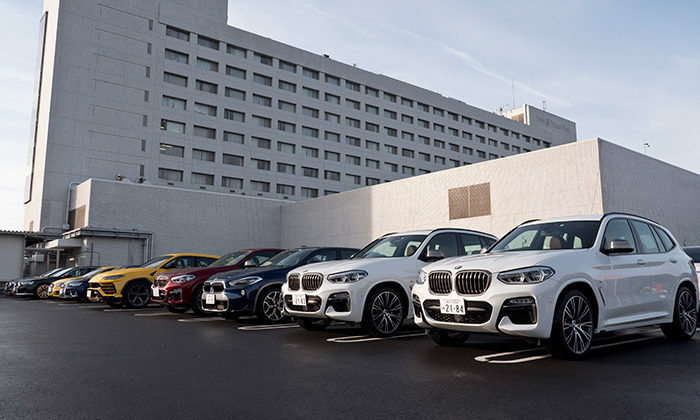 However, the market share of foreign-brands in the overall passenger car market of Japan (4,386,377 units) stood at 7.0 percent (7.1 percent in 2016), which remains considerably lower than in other countries. In 2018, JAIA members will further launch new vehicles with diversified and upgraded power-train and introduce additional lineups of new models equipped with a wide-ranging advanced safety features, cutting-edge connected technologies and high-level automated driving-related technologies of higher levels, and the “Imported Automobile Market Outlook” for 2018 is steady growth. While each JAIA member is responsible for promoting sales of imported cars of their brands, JAIA plans to further make requests for tax reform on behalf of the industry to ensure fair market conditions. In addition, we plan to continue carrying out JAIA joint test ride to support JAIA members. On tax reform, while LDP Tax Research Council is expected to conduct its comprehensive examinations for reducing burdens on vehicle owners, JAIA is convinced that the outcome of such comprehensive examinations will be vital for sustainable development of Japan’s economy and the motor vehicle market in the future. The Consumption Tax is expected to be raised to ten percent in October 2019, however growth of the economy and the market will not be sustainable, if tax burdens on vehicle owners are not reduced at that same point in time. We are concerned that the “last-minute boost” in demand before the tax-hike followed by a complementary decline in demand will be repeated, making sustainable growth an “unfulfilled dream”. 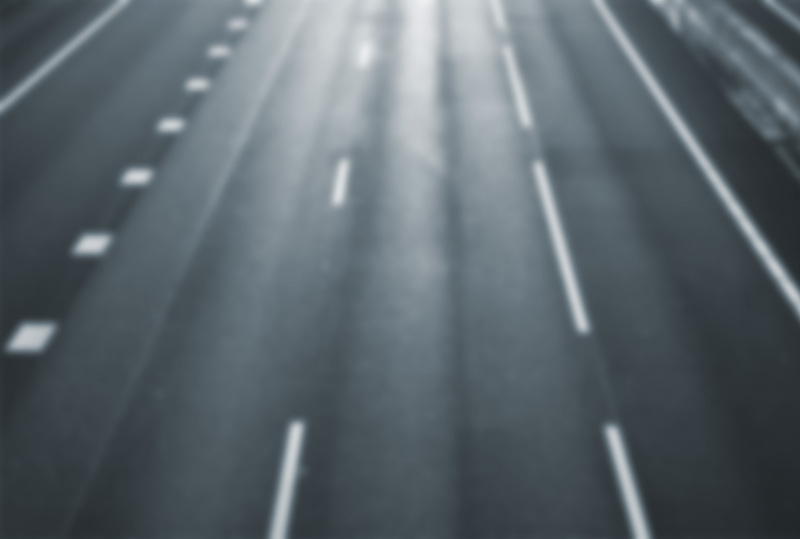 The first is the request for significantly reducing the rates of the Automobile Tax. The level of Automobile Tax on registered cars is currently about 2.7 times higher than the corresponding Tax on Kei-Cars, which is quite unfair. It is a priority request to close that gap by significantly reducing the rates of Automobile Tax to be equivalent to the corresponding Tax on Kei-Cars, which is unanimously supported by European countries and the USA. The second is the request for abolishing the base rates AND/OR the provisional rates of Tonnage Tax, which has lost any reason for levying. 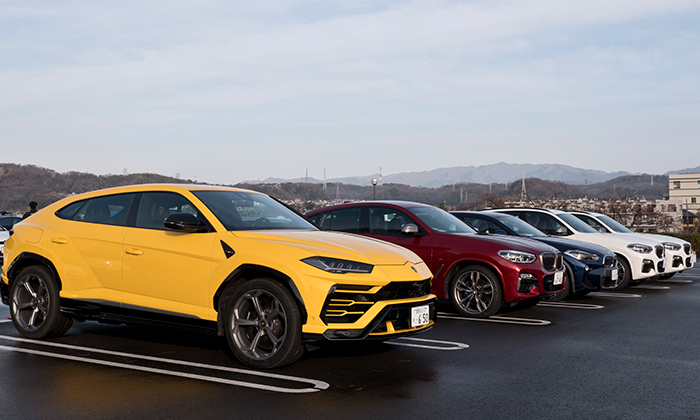 At the 38th Imported Car Joint Test Ride, 16 JAIA members will offer 77 units of various new models from the European countries and the USA where automobile culture has been developed for many years. Not to mention BEV and PHEV, a lineup of the hottest models will include SUV and crossover models that meet the various lifestyles and needs of customers. AEBS (Advanced Emergency Brake System), Full-Speed-Range ACC (Adaptive Cruise Control), LKA (Lane Keep Assist), LDW (Lane Departure Warning), Advanced Lighting Systems and Automatic Safety Belt Tightening will be showcased, in addition to wide-ranging safety features such as night vision, parking assist functions and rear collision warning systems. Cutting-edge connected technologies like 24/7 emergency reporting as well as high-level automated-driving technologies will also be presented. As this appropriately indicates, here I like to emphasize that JAIA members will further introduce the models with diverse innovative technologies for safety and comfort in addition to better environmental and driving performance. In November 2017, the UNECE World Forum for Harmonization of Vehicle Regulations (WP29) adopted UN Regulation R0 (ZERO), which prescribes procedures for IWVTA (International Whole Vehicle Type Approval). With UNR0 (ZERO) going into effect – although only partially – mutual recognition of type approvals is realized in principle for passenger cars. JAIA highly appreciates the efforts of the officials of MLIT and other persons concerned. Hereafter, discussions will be conducted on IWVTA Phase 2, which will extend the range of technologies and devices covered, and JAIA will be actively engaged in the efforts to achieve broader IWVTA. In the process of creating a system of mutual recognition under IWVTA, a number of regulations have been harmonized; however, still some Japan-unique regulations and certification procedures remain. We expect to see further reduction/elimination of Japan-unique regulations and certification procedures not only for passenger cars, but also for other categories including heavy duty vehicles. Other important areas where international harmonization and streamlining of regulations and certification systems are strongly called for are exhaust emissions. Under the Preferential Handling Procedure (PHP) for Imported Motor Vehicles, in order to check the environmental performance of vehicles, it is required to conduct emission and noise tests based on a certain sampling rate per vehicle type. JAIA welcomes the announcement made by the Government of Japan on November 6 in 2017 that Japan will streamline the procedures relating to noise and emission tests for the vehicles exported to Japan which are certified by PHP. We look forward to a quick start of such streamlining. In addition, JAIA welcomes harmonization of Japan’s emission and fuel efficiency measurement procedures by starting to apply the World Light Vehicle Test Procedure (WLTP) from October of 2018. As soon as the application of WLTP starts, JAIA will be able to make further contribution to sustainable mobility in Japan through the expansion of models launched in the country and early implementation of leading-edge technologies. The diesel passenger car real driving emission (RDE) tests, to be introduced in Japan in October 2022, will be based on the EU RDE regulations which have already been introduced since September of 2017. JAIA will continue consulting with MLIT to avoid additional excessive certification burdens on the importers. With regard to fuel efficiency, the deliberations on the Post-2020 Fuel Efficiency (FE) Standards for Passenger Cars at the joint subcommittee meetings of METI & MLIT advisory councils will be conducted this year, and JAIA will actively participate in the deliberations and express its position in a timely manner so as to ensure that the Post-2020 FE standards will be reasonable, well-balanced from the standpoint of technological developments and consumers’ acceptance as well as fair to both imported and domestic automobile manufacturers. When formulating new Post-2020 FE Standards, we are convinced that careful and comprehensive deliberations need to be conducted, considering technological developments for improving fuel efficiency and for diversifying and upgrading powertrains including electrification, as well as consumers’ acceptance of such technological developments. Furthermore, in order to promote and expand low-carbon and highly-efficient vehicles like BEV and PHEV, the support by the government will be needed for constructing the required infrastructure and providing consumers with incentives based on reasonable and fair criteria. First, I will present examples of progress in the activities for international harmonization of motorcycle-related standards and regulations. The Daytime Running Lamp (DRL) issue has remained in Japan; however, in June last year, the Japanese government submitted a proposal to the UN, which is expected to be, in due course, internationally agreed and then, implemented in Japan. JAIA will further carry out activities for achieving international harmonization of motorcycle-related standards and regulations. Next are the activities for revitalizing the Japans motorcycle market. JAIA has been conducting the Imported Motorcycle Test Ride since 2015. At the 3rd Imported Motorcycle Test Ride held in April last year, all ten JAIA motorcycle members together provided 100 motorcycles for the test ride. Thanks to participation by representatives of 71 media, the “attractiveness of imported motorcycles had been spread widely through media coverage”. This year, the 4th JAIA Imported Motorcycle Test Ride will be held at the Oiso Prince Hotel Long Beach on April 4th and 5th. We are now preparing to make sure that the 4th Motorcycle Test Ride will provide opportunities for riding a variety of latest models. 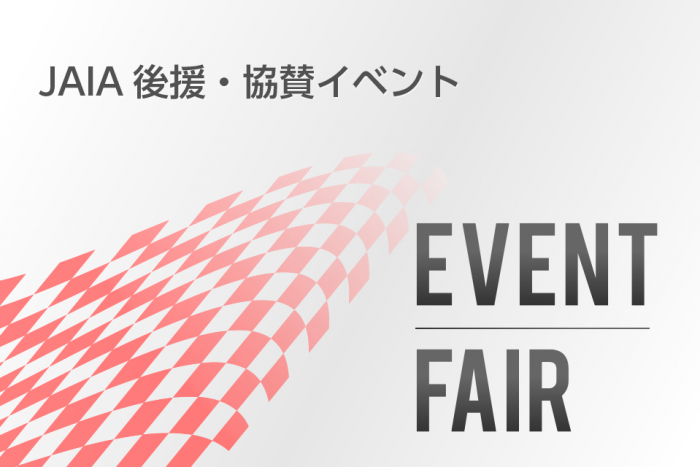 In addition, JAIA will continue taking part in the Bike Love Forum (BLF), which was started in 2012 for the purpose of revitalizing Japan’s motorcycle market. This year, the 6th BLF meeting is planned to be held in Ichinoseki-city of Iwate-prefecture on a Friday in early August. Following the 6th BLF meeting, JAIA, JAMA and other organizations concerned are now planning a project to let the participants fully enjoy the fun of riding motorcycles in areas hit by the Great East Japan Earthquake on March 11th in 2011 over that weekend, while at the same time supporting the reconstruction of these areas. Please do not miss this event. In closing, JAIA will further work to make sure that JAIA members will be able to deliver to more customers in Japan those cars and motorcycles manufactured in various countries of the world that are equipped with advanced safety features, cutting-edge connected technologies and high-level automated driving technologies. We will also continue to carry out activities to create and maintain fair and free market conditions in cooperation with ACEA, JAMA and other automotive associations from home and abroad. 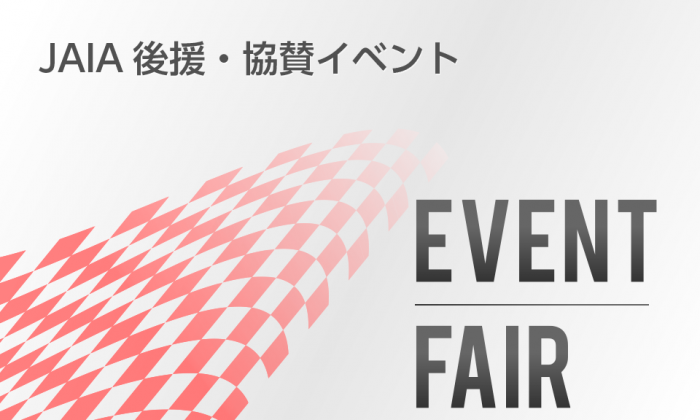 Together with the Japanese government and related organizations, we aim at making further contributions to a sustainable development of Japan’s motor vehicle market as a whole.